That'd be me then XDD 521 is now owned by a guy called Phil in Devon. Last time we spoke via email he was thinking about going back to stock. If you've got any contact details, maybe you could point him here as well? DL is an Isle of Wight regestration, would that mean this car was purchased at Fishbourne Gargage. Photos from Bug Jam 2007 when it won Best Cal Look. TYJ 970 is in E.Sussex (I drove past it this afternoon!!!). do we know who owns it? 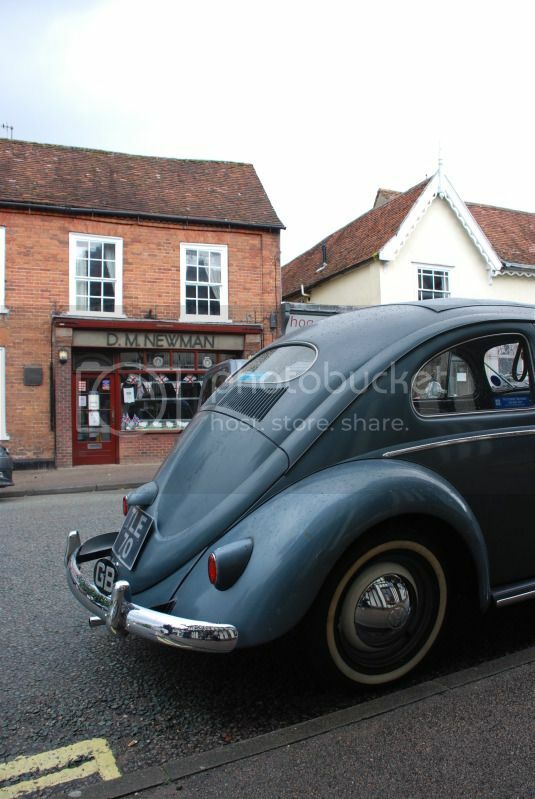 Yes, Robinsons VW dealership owned this one for many many years until Steve Moran bought it from them last Summer. The last time it was out and about on the road was in 1997! It has since just lived stored in the garage, taken out for a run around the grounds of the smallholding every other month or so, washed and put back. It's still pretty much in the same condition as when I showed it back in the early nineties, (with the exception of needing a brake overhaul and new tyres as they have cracked up with age!) 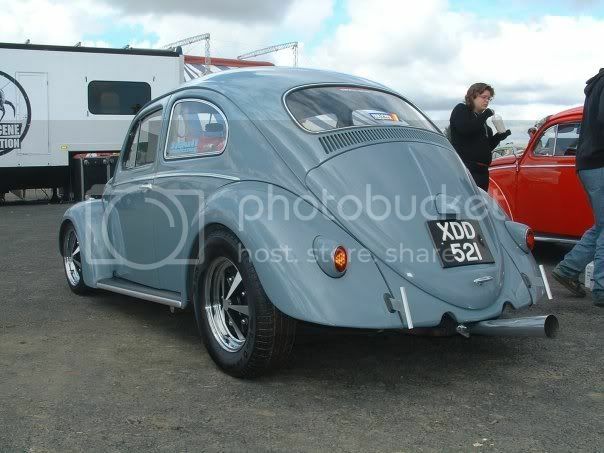 before I drifted away from the VW scene, . The cars actual build date was May 7th 1955, it's a RHD UK supplied car. Since restoration in 1989 it has been finished in Zenith Blue. When I originally aquired it back in 1984, it was finished (very badly!) in a non VW maroon colour. It was originally Polar Silver. I'm currently trying to decide if I should consider selling it. If anyone has pictures of it at any of the shows I was at in 1990, I'd love to see them. MDR155 agave green 1956 oval i bought from john in 1991 is safe & well tucked up in my garage.i have not had it on the road for years but it is now taxed & will hopefully be back out for a few show next year. I remember how well it drove in modern traffic around London. Not a UK vehicle, but I was having a chat with a VW friend the other night, and the subject of Ulf Kjaiser and his accessorized 1956 Jungle Green Oval, CLZ 311 came up. Has anyone seen the car, know it's whereabouts, or if Ulf is still active. I saw the car at the Scottish VW Festival back in the early 1990's, and I think Ulf had brought it to the UK to visit as many shows as he could. Volksworld featured it around this time too. Interestingly enough Rattletrap was at the same show the year before while still in the ownership of Tony Levy, and it's still around! MOL 179 polar silver ragtop. I actually thought it was a polar silver 56/57 with red interior ( the same as the car I'm restoring ), but watching the video it's actually a 53-55 in later colour scheme! now on empi 5's with an irish number plate. the car was originally found in a garage in Stratford-upon-Avon. Ive got the feature somewhere, about 1995.
you sure its a pre 55 oval? I know its got square corners on the sunroof, but I think it is a 56. That's a shame it's lost it's original number. When the camera goes past the interior I'm sure you can see straight gearstick, batwing and ribbed doors. Might be wrong the video aint exactly high quality! I'll have to dig my old Volksworlds out now to check.